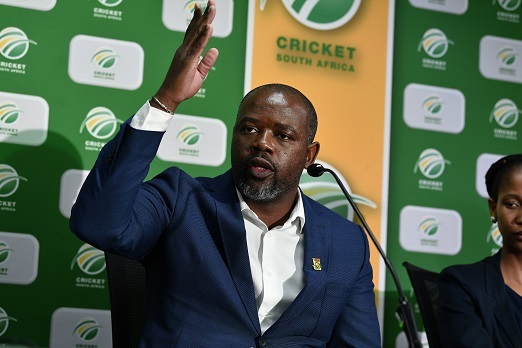 Cricket South Africa (CSA) chief executive Thabang Moroe could still obtain the selection veto powers he is seeking for himself, with the matter to be decided at the next board meeting, in Johannesburg on May 17, CSA themselves confirmed. Rapport reported at the weekend that Moroe’s bid to be able to veto Proteas selections was initially approved by the board last June, when president Chris Nenzani was absent as he was attending a family funeral. The report stated Nenzani then removed the proposal from the agenda at the next meeting he attended. But a CSA spokesman told The Citizen that Moroe’s suggestion is still on the table. “A final decision on that has not been made and it’s currently sitting with the board. A final decision on that will be made in the next board meeting. Confirmed it with Thabang now”, the spokesman said in a message. While Moroe stated publicly two weeks ago that there would be no quotas in terms of selection for the World Cup squad that will be announced on Thursday, according to ICC rules, South Africa can make changes to their squad up until May 23. A return to a high-ranking CSA official having a selection veto would take the organisation back to the dark days of 2008, when the veto was abolished after several controversial meddlings by then president Norman Arendse, who is now believed to be advising Moroe. The players’ union, the South African Cricketers’ Association (SACA), were at the forefront of efforts to do away with the veto and on Monday they were still under the impression that the CSA board had shelved the idea. If Moroe is given a selection veto, it is certain to only add further strain to the relationship between the players and CSA. “A veto used to exist but the players and SACA campaigned for a number of years to get rid of it and CSA eventually did. We opposed the veto on the basis that nobody should be involved in selection except the selectors and the selectors should not be micro-managed. Any decision to reintroduce the veto would be a concern for us collectively,” SACA chief executive Tony Irish explained to The Citizen on Monday. What has worked well for both the Proteas and CSA over the last decade has been a system where the national selection panel must know and comply with CSA’s policies, especially those regarding transformation, and the board have recourse if they are unhappy because they appoint the selectors on an annual basis. Whether the Proteas have reached transformation targets is also judged over the whole season and across all three formats. The Proteas players will have no trust in a selection system that allows an administrator to arbitrarily intervene in order to add whatever player he fancies at the time or remove a cricketer he does not personally like.